Glass products such as windows and doors have come a long way during the past few decades. While materials such as aluminium and wood might be great choices for some situations, another cutting-edge substance known as uPVC can provide you with a host of interesting benefits. Why are a growing number of property owners migrating to this option and what are some of its inherent advantages? 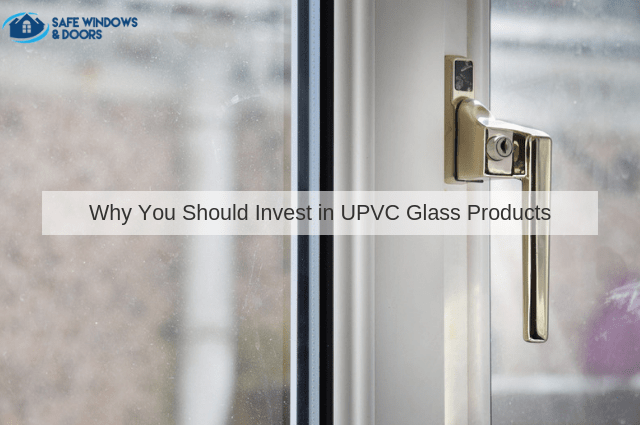 uPVC is a plastic-like substance that will stand up to a great deal of wear and tear. It is highly resistant to the elements, so issues such as dramatic temperature changes and the damaging effects of the sun are on longer concerns. This material is lightweight; helping to expedite the installation process. It should also be mentioned that uPVC is a very poor thermal conductor. This signifies that you will be provided with a superior amount of insulation from exterior temperatures; helping to lower energy bills over time. A final interesting property is that it can be recycled up to ten times. This is excellent for those who are conscious about the environmental impact of modern windows and doors. While the features mentioned above are indeed impressive, it is just as critical to mention that firms which provide double glazing in Ascot can supply a wide variety of styles and designs to choose from.This will enable you to match the exterior of your existing property; ideal if you prefer to make minor changes as opposed to drastic visual adjustments. You will likewise be pleased to learn that uPVC is a very low-maintenance material and unlike other substances, it will not need to be painted or stained in order to withstand to the elements. This is always an advantage if you do not have the time to adequately address such concerns. Many consumers are surprised to learn that uPVC doors and windows can add to the resale value of their property. In fact, many potential buyers will look for such accessories before committing to a purchase. If you are planning to place your home on the market in the future, uPVC will not disappoint. Whether referring to doors, windows or conservatories in Berkshire, our firm is always here to help. If you would like to fully appreciate the benefits of uPVC, please give us a call at your convenience.